Ferry service (passenger and vehicle) operates twice a week between Dili and Pante Macassar, Oecusse (around 8-12 hours each way). Departs Dilli seaport Monday and Thursday, returning from Pante Macassar the day following. Ferry also travels between Dili and Beloi, Atauro Island on Saturday (departing Dili around 9am and Beloi 3pm). Ferry is frequently crowded and operation is subject to weather. Tickets when departing Dili must be purchased the day prior from the ferry office, Dili seaport. 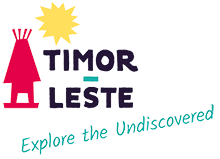 For more tourism information and holiday bookings please directly contact Timor-Leste tour, accommodation, transport, and activity operators.